So obviously due to the fact that I have to deal with taking crappy pics, I wont be using my normal blogging template. 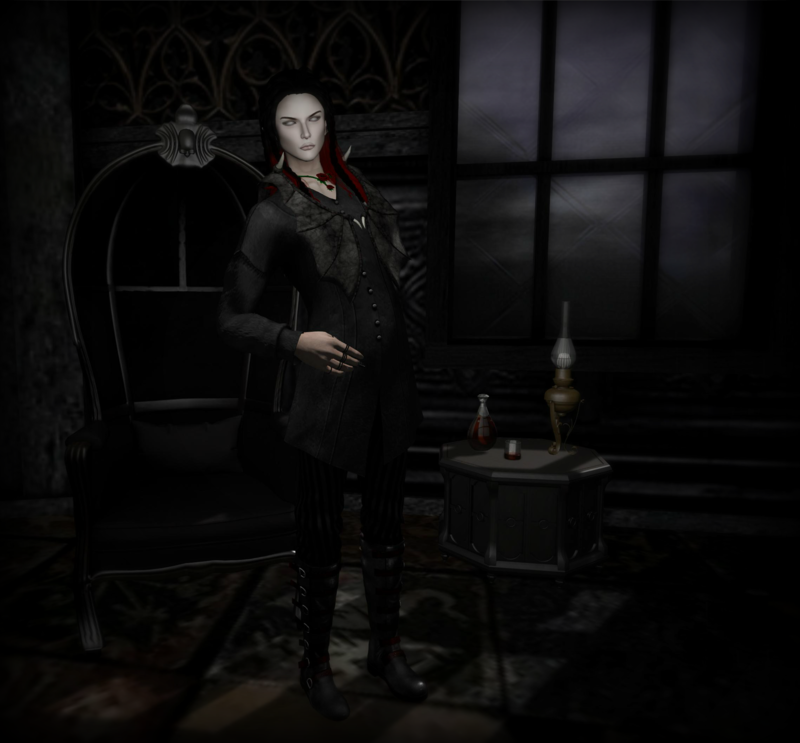 Also, to hide the fact that the pics are bad, I have taken some creative license with the photos, while still trying to keep the items I am showcasing as close to what they would look like in SL. My efforts sort of look like a LadyLight post, haha, but we will just have to go with it for now. There are very few stores I am an official blogger for. This is mostly just due to my store coming first. I do have a few designers who have insisted over the years, not minding my sporadic coverage. I have a few others that are willing to give me a chance, even with me not being able to cover every single item when it comes out. One of these stores is Chop Shop. I am a lover of all things eyes, and that is what you will mostly find at this store. I was a long time purchaser, and eventually was invited to be an official blogger. The thing that drew me to the store was mostly the creativity. As a collector of eyes, it is very easy to see the same things on the grid. Sure you can have 100 stores with lovely eyes, but if they are all normally based, how many ice blue eyes do you really need? and how often would you wear the different ones? 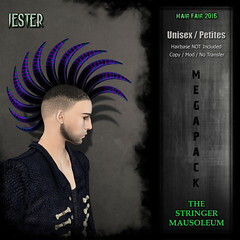 When I am not designing for my own label, or blogging, I am typically some form of half demon, half humanoid type thing. I do throw in other bits of fantasy creatures here and there. The one thing I have always tried to look for, are unique eyes. If I have to go run to meet a client/customer, event organizer/so on, I do throw on something a bit more normal, take of my tentacles, and tp to their location. One thing I like to maintain, to stay true to my inner second self, is my eyes. I like for them to stay unique, and not totally normal. Chop Shop provides with for me. Not only do they carry a regular series of eyes, but they also have lots of unique ones to choose from. The store is also relatively new, in terms of how long I have been on the grid. Clocking in at just over a year old, I feel this store could use a bit more exposure. The eyes really are lovely, and they match most of my hair colours, haha. The eyes that started this whole look are these “Love Me?” eyes in Blue Lightning. They are a gacha item, and I am busting the lid off of one of the Mystery Rares, as that is what the Blue Lightning is. There are still a few more Mystery Rares to collect. The rest of the gacha line you can view HERE. If you would like to see what else this store has to offer, while not on the grid, feel free to browse the rest of the flickr feed HERE. 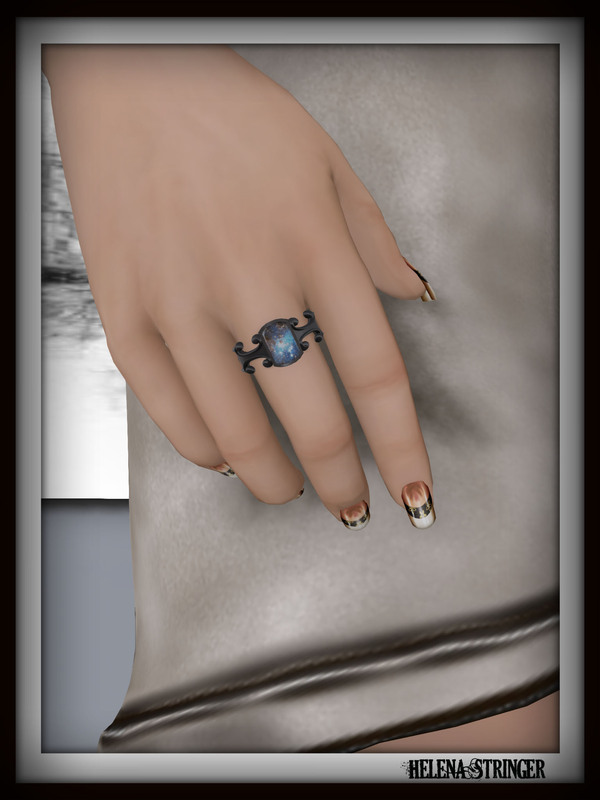 The little heart ring is another item from Chop Shop, which also happens to be a gacha item. You will find it, and the eyes, as the newly opened “Streets of Love” event. 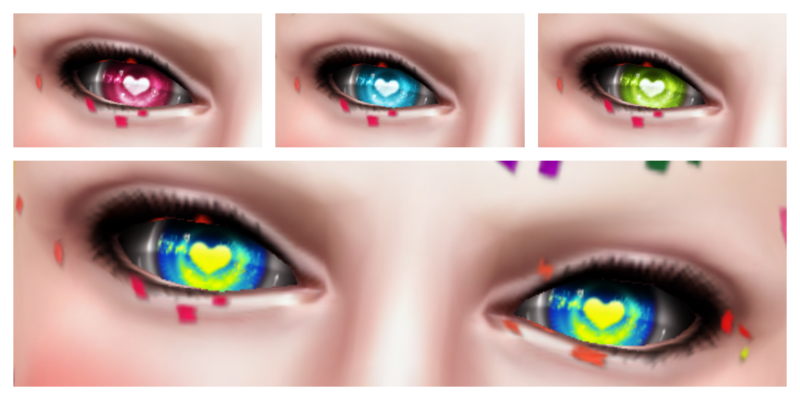 Excuse the crap resolution, the eyes really are more lovely inworld, you will just have to go play the gacha, haha. 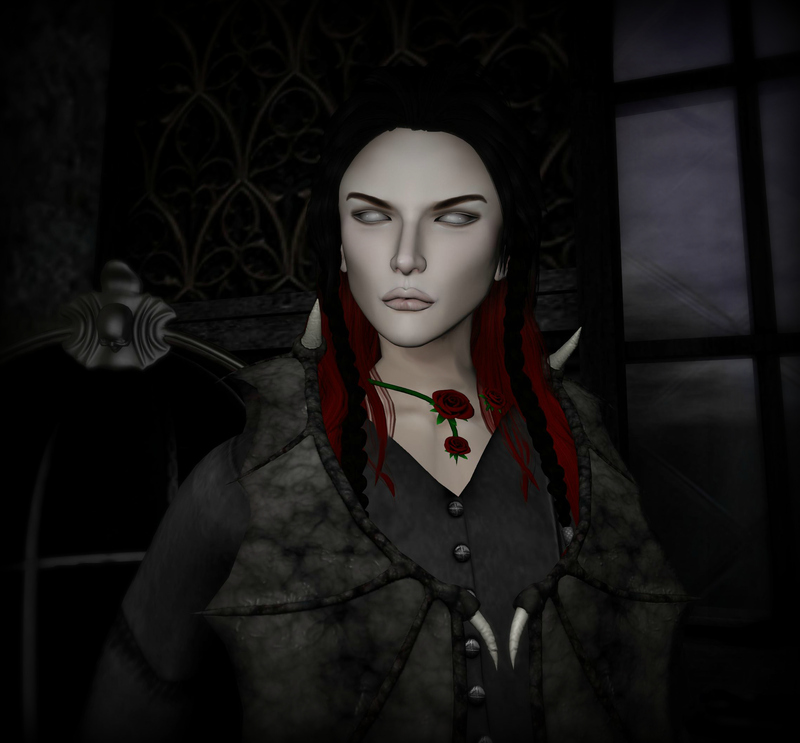 There were basically screen shots, as I can’t save photos from sl right now. I had been meaning to wear this outfit long before now. It is one of a few colourations being offered at Genre, by !deviousMind. This round is themed Celebration, because it was Genre’s BDay. The event is now going into it’s 3rd year, which is great. I have long loved being a part of it. The outfit is called Party, there are a bunch of colours. 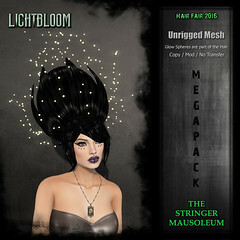 Each pack comes with a plethora of appliers, layers, items. It really would be too much to go into, but just one outfit will explode you inventory, with the amount of stuff that is in there. Genre is open until the 12th Feb. All items are L$100 or less. 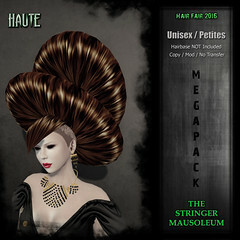 This round, due to it’s special theme, has various designers offering a L$10 promo item.